Welcome to the NGK Preschool Room! This room is designed to engage your children in a fun and friendly learning environment to prepare them for Kindergarten. We encourage learning through play, as well as, learning through routine and activities. 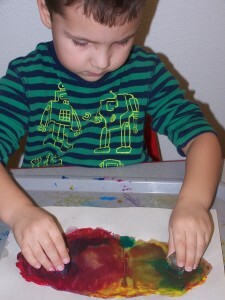 This room uses activities to develop skills such as math, language, and fine motor. These activities are called jobs and will be done, as a group, once a day. We believe that jobs mixed with free play, outdoor play, dramatic play and music and movement, on a daily basis, give children lots of room to learn and grow. During free time t is also our belief that children should be able to chose jobs; limiting job use to once a day can limit potential learning. While in this room, children will be pushed to develop their communication skills, as well as, an understanding of their emotions and effective ways to show them. The curriculum in this classroom is put together to challenge all ages with early literacy, math, social skills, and motor skills. Newsletters will be emailed every month outlining the curriculum and particular focus for that month. We will have a weekly schedule that goes into further detail with specific songs, books, and activities. 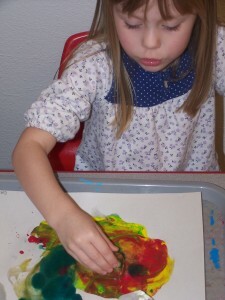 We have a lot of fun with our curriculum and we know that your children will as well. We are excited to show you how much your child will and can learn! Words cannot express the gratitude that my family has for Constance and each and every Next Generation Kids teacher that has been a part of our family since 2011. We were in a bind. Our family had just moved to Portland and the childcare we had set up for Cruz, our two year old, fell through leaving us with no care for our child and very few options. In panic mode we called every child-care place we could find in the online directory searching for availability. No luck. Constance at Next Generation Kids invited us over so we could meet the staff and take a tour of the facilities. They took us in and made us feel at home, like family. Next Generation Kids fosters a very loving atmosphere. The teachers are kind and the children are very well taken care of. The students at Next Generation Kids are encouraged to explore and grow in a fun and creative environment. Our son was very proud to show us all of the work that he had brought home from Next Generation Kids. Cruz has always enjoyed going to “school” at Next Generation Kids and has even talked about his teachers on the weekends when he is home. We have never regretted the decision to send Cruz to Next Generation Kids and highly recommend the center to anyone, whether they are “panic mode” or not.